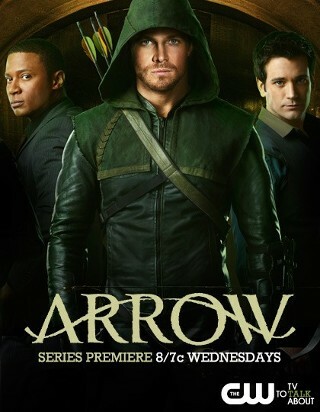 You are here: Home » MEDIA » Comics » Arrow-ing in: put out an APB for Robin Hood. Arrow-ing in: put out an APB for Robin Hood. Green Arrow gets a makeover from the slightly silly figure we saw practicing bowmanship in Smallville, to a police-pursued vigilante that would make DC Comics proud in this dark new TV series, Arrow. Not Robin Hood, just robbin’ the corrupt and evil. Batman Detective Comics #19 (comic-book review). Marvel versus DC death match. Who wins? « A Friendly “Hi” to Sci-Fi TV: Commoners are Welcome!